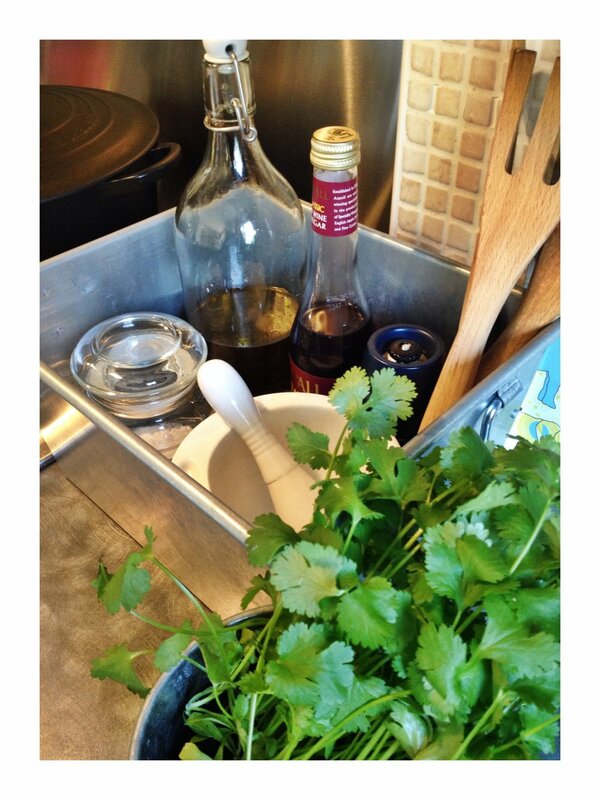 A super quick home organisation project. 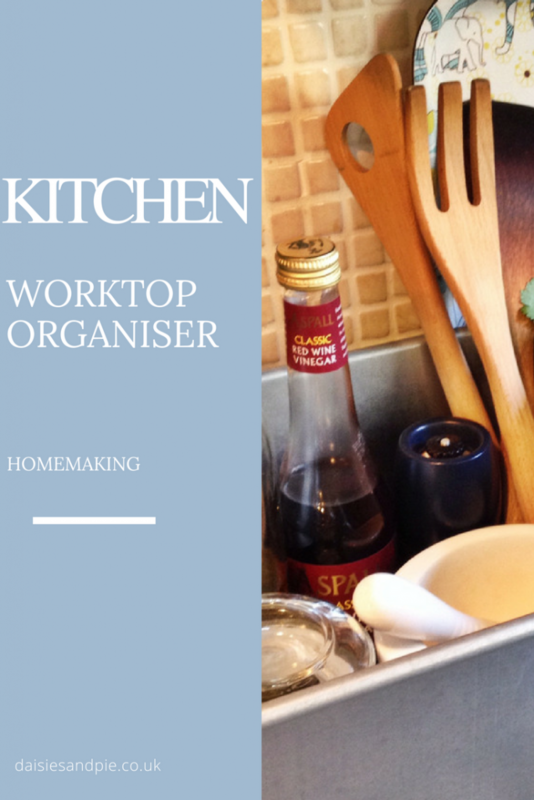 The kitchen worktop organiser really does make cooking quicker and easier having all your most used items to hand. There’s lots of different styles of kitchen counter top caddy – some opt for wicker basket styles I much prefer a robust industrial vibe – easier to keep clean – sleek lines and much more practical for my space. For this project I’ve used a simple galvanised steel crate from IKEA.